Community Connexions is a charity running community bus routes in Gloucestershire. They are trying to establish if residents of Northleach and the surrounding area need transport to supermarkets for essential shopping. The service would be pre-bookable and passengers could use their concessionary bus passes as it would be a registered bus route. If there is sufficient demand, the service would be once a week to the Tesco Extra in Cirencester or into the centre of Cirencester, and would be suitable for residents with mobility issues. If you feel that you would benefit from a door-to-door accessible shopper bus service please let me know as we are collating interest. Please fill in the form below. We specifically need to know how often you might want to use the service so they have an idea of numbers. Gloucestershire County Council is consulting on proposed changes to public bus routes in the North Cotswolds, which will take effect from 26th July 2015. The routes affected include Pulhams 801 and 855. If you rely on public buses for transportation, we urge you to take part in the survey on the GCC website as soon as possible. The survey closes on Sunday 5th July. Over 1200 people signed the petition asking CDC to grant more time to consider the local bid for the purchase of the Old Prison. Without the petition and public outcry, the site would already be sold. However whilst the Petition was out voted CDC councillors voted to ensure the group considering the purchase bids should give strong weighting to continuing public access to the Old Prison and consider the heritage and community impacts. An overwhelming 1200 people who live in our district, or love the Cotswolds, signed the petition asking for time (up to December 31st 2012) for a rescue plan and a re-think on the fate of the Old Prison site, and the nationally important rural collections in CDC care. On February 28th, at 10 am, at the Council Chamber, Trinity Road, Cirencester, GL7 1PX , all 44 councillors of Cotswold District Council will have the chance to debate whether to give the time, and encourage a rescue package. Please come to CDC at Cirencester on 28 February and back the call for more time and to favour a rescue. 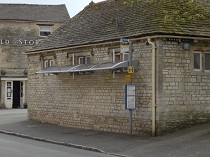 Pulhams’ Coaches are providing coaches to go to CDC, picking up at the Old Prison at 9.10 a.m and the market square in Northleach at 9.20 a.m. First come first served and prompt departure. Support the call to CDC to agree to give time for proper, open consultation on options for the site and the heritage artefacts. In the last few weeks a rescue plan has begun to develop that will give CDC some money. As well as caring for the fate of the heritage and getting the site thriving again, it will work closely with the community to benefit the area. A detailed vision for the site is being developed to carefully achieve community benefits and links to the needs of the Town. It needs time. Please write from your own perspective about what matters to you. See the democracy section on the CDC page. Make sure you write to your own District Councillor, and if possible copy to the portfolio holder, Cllr Barry Dare, and Cllr Lynden Stowe the Council and Conservative group leader, Liberal Democrat group leader Cllr Paul Hodgkinson; and the CDC staff responsible for making recommendations. CDC Chief executive, David Neudegg, and Frank Wilson (Strategic Director of Resources) at CDC, Trinity Road, Cirencester, GL71PX. Please send a copy of all correspondence to Cllr Chris Hancock ward councillor for Northleach local area. Great Union House, Market Place, Northleach GL54 3EJ. Best value can favour community benefits, heritage care and education. CDC does not have to choose the highest bidder- government rules allow it discretion for community and heritage benefits. Big Society, and CDC’s own policy is to let communities have a say about major public assets and how to get the best benefits for local people. The Localism bill comes in to force in April. What safeguards are in place for the House of Correction in future? Marketing this theme needs care, for example Little Dean is now a Museum Of Torture. When it’s gone it’s gone- it’s at the Heart of the Cotswolds and a jewel in our heritage. Being on the cross roads of 2 major roads this place is very accessible to locals (on the main bus routes) why let it go? The educational value is immense and so relevant to the curriculum today- our children study human rights, citizenship, history, environment and rural skills. The Old Prison has been in public hands over 220 years and is of international heritage importance. A rescue plan would see the grade 2 star listed building refurbished and preserved for future generations. It was built as a “House of Correction” in 1790; by a Gloucestershire philanthropist, Sir George Onesiphorus Paul, horrified at conditions in Gloucester gaol. It was groundbreaking and innovative in its day and influenced design and conditions in over 23 other prisons not just in England but in the Commonwealth and USA too. CDC got the site for free with the obligation to care for and showcase the nationally important LLoyd Baker Collection. The Treasury accepted the wonderful agricultural collection for the nation in lieu of death duties – it represents a life time of collecting items from rural life before mechanisation. With a big grant from GCC, CDC got the site for free. CDC signed up to all the legal obligations for the care of over 650 items, which have to be accessible to the public. These legal obligations on CDC will continue after the site is sold. Many items are fragile and at risk- the rescue plan would keep the collection on show, and on site. The rural collections include many additional artefacts special to the local area and put into CDC care. Local families in Northleach area offered tools such as the wheel wrights working tools display still on site. These reflect many skills still essential for our buildings and landscape today. If the Old Prison is sold, what will happen to the thousands of items in addition to the Lloyd Baker collection? Is CDC reputation on heritage at risk? Waste Department! If the site is sold, is CDC really proposing to put all our fragile heritage items under the waste department? What will be the cost of relocating and caring for the rural collections to meet Treasury obligations? What message does this give about CDC as a safe pair of hands for our heritage and its reputation? Would anyone ever put anything of value in the hands of CDC? Secrecy about artefacts at risk-? Is there a proper inventory? Are proper disposal procedures being followed in accordance with Museum best practice? 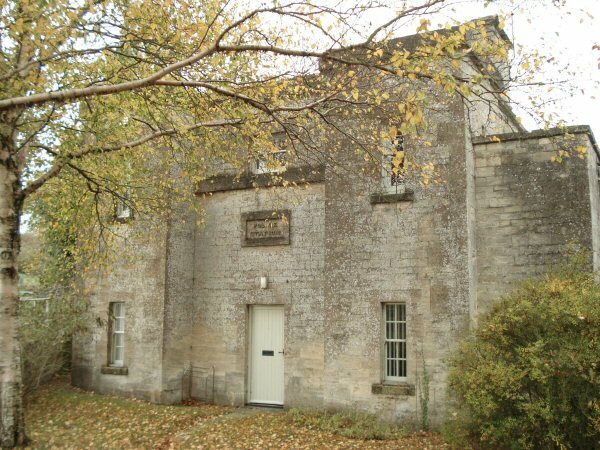 There has been no public consultation about the sale of the Old Prison at Northleach. It’s not just important to Northleach- it affects our whole District, this is why an overwhelming 1200 people from the Cotswolds and beyond, signed the petition asking for time for a rescue package and a re-think. Let local people see the options and propose ways to ensure the best outcome for our area. Secrecy All the cabinet, and full council meetings, about the Old Prison and the rural heritage collections have been held in secret closed sessions, binding all councillors to silence; and stopping tax payers knowing how decisions are made. Tourism is a major industry for the whole District and sustaining footfall is vital. Tourists and people searching their ancestors find this site a great draw. The footfall of over 20,000 a year (mainly adults), when the rural collection museum was flourishing and properly managed to benefit the local area. The “Escape to the Cotswolds” exhibition has been open just 2 seasons- it encourages visitors to explore the local area and wider AONB and stay. This increases footfall to the town and local businesses across the area. Avoid harm – we call for a proper costing of the impact of losing the Old Prison from public access and control. What will be the economic harm and benefits of each of the bids on our area, especially Northleach town? Should CDC consider imposing conditions and covenants? What is CDC’s asset transfer policy- what site will they purchase with the money? Proceeds from any sale of public assets have to go to capital items not running costs. In July 2011 CDC decided it will use the money from the Old Prison site to purchase another property. At a time of near recession which part of the district will benefit from CDC investing- and why put Northleach at risk of harm? Why not let local people see the options and avoid harmful consequences? An overwhelming 1200 names have signed the petition started by Diana Ray of Cold Aston, forcing Cotswold District Council to re-debate the sale of the Old Prison. Diana now needs your help to take your views to CDC’s meeting and to support the rescue package through Cotswold Conservation Board and Friends of the Cotswolds who have submitted a bid to CDC to purchase the building. Help Save it by Signing the Online Petition! Write letters to the people who can influence the decision and also ask CDC to give more time. There are viable alternatives that would keep the site focussed on benefiting our district and local community for the long term. Contacts for all District Councillors can be found here: www.cotswold.gov.uk. The leader of CDC, Cllr Lynden Stowe and the CDC Chief Executive, David Neudegg can be reached at: Cotswold District Council, Trinity Road, Cirencester, GL7 1PX. Please copy your letters and emails to Northleach Town Clerk at The Westwoods Centre, Bassett Road, Northleach, GL54 3QJ. Encourage others to write and follow what’s happening and sign the online petition.